El Chorro In order to visit the Caminito del Rey you need to get to the small village of El Chorro located in Málaga province, Andalusia, Spain. 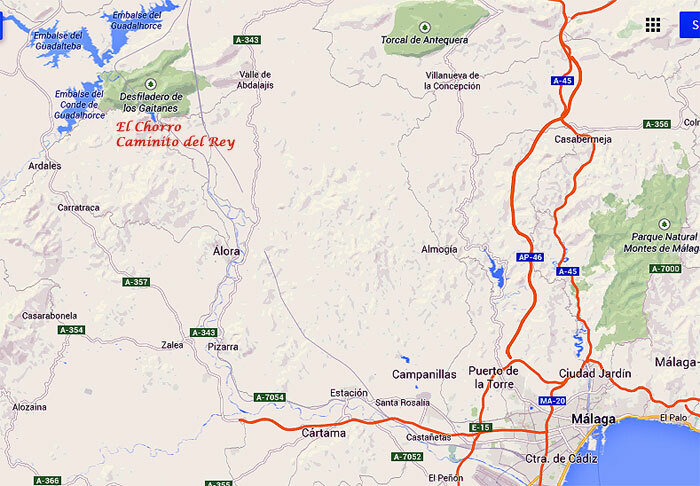 El Chorro is a few miles away from the larger town of Alora. GPS etc Coordinates are 36°54’0 N and 4°43’60 W in DMS (Degrees Minutes Seconds) or 36. Previous PostReady for some Spanish? Join our new extensive course for beginners starting in …Next PostFind and book the best Ronda hotel deals available with last minute booking.